In a previous post I listed the jobs to be done on Serenity this year. The ones with the highest priority are the ones which keep the boat out of the water. Next are the ones that keep the boat at the dock, Anything else can be done when I have the time. Basically, do what you have to do to go sailing safely first. 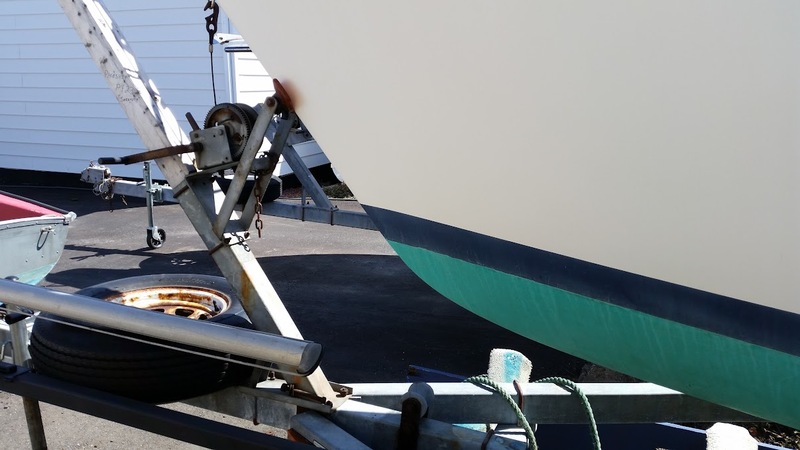 I decided that the first one was not necessary at this time, since there has never been a problem with the thru-hulls, and it was something that could wait until the boat was hauled out at the end of the season. The third item I have no idea what I meant by it now. 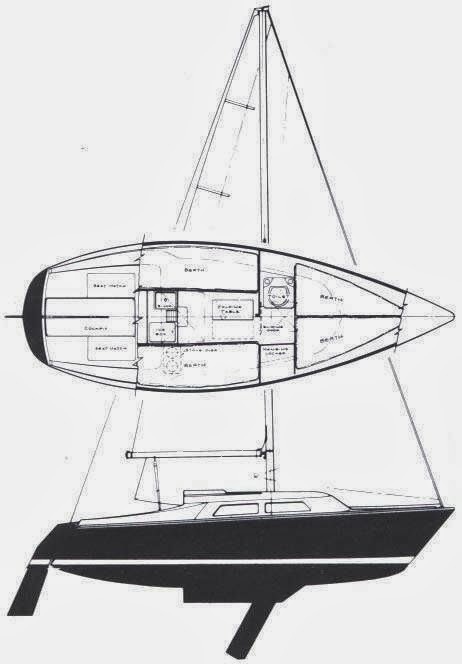 I won't be unbolting the keel, and it looks tight around the join. Maybe I'll remember next year. The trailer modification for this spring is to put a roller under the bow to keep it in the proper position. The trailer's winch is mounted much too low, and causes the boat to be improperly positioned when it comes out of the water. It can sit so far back on the trailer that it is aft heavy. This is unsafe for towing and in the yard. There is a roller on the trailer under the bow, it's just too low to do anything at all. I purchased two 20" pieces of steel flatbar, and will extend it up to a position that should make positioning easier. That means just slapping on some antifouling and dropping the boat in the water. It looks to be an early launch for Serenity this year.